Over a course of several months in late 2010, a large apartment complex in North Austin undertook a major renovation of its stone exterior, requiring scores of workers. The apartment complex owners hired an out-of-state general contractor, who hired local labor subcontractor David Flores to round up the dozens of laborers needed to perform the work. In September 2010, a few months into the job, a dispute arose and the general contractor fired Flores, who then failed to pay many of the laborers. 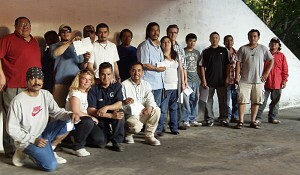 EJC’s first action was to help six of these workers file wage claims for totaling about $7,000. But the trouble was just beginning. At that point the general contractor replaced Flores, putting another local labor subcontractor, Jaime Rodriguez in charge of the work crew. The workers continued working on the apartments, but were nervous because they had heard Rodriguez and Flores are relatives, and that both have a reputation for ripping off their workers. 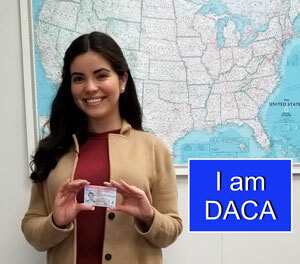 And sure enough, in late November 2010, a second set of 38 workers from the same crew contacted EJC reporting that now Rodriguez had not paid them for several weeks of work, many lamenting that their families had to forego any Thanksgiving dinner because they didn’t get paid. Meanwhile, the general contractor, confronted with the workers’ complaint, issued the workers a notice in English and broken Spanish that it would not take any responsibility for their unpaid wages, and warning the workers to stay away from the jobsite. EJC attorneys helped these additional 38 workers present their legal demand to the general contractor for a further $56,000 in unpaid wages and helped them place a mechanic’s lien on the apartment complex to secure their claim. For many months thereafter the general contractor’s lawyers fought the workers’ claims, trying to pressure them into accepting less than they had earned. But the 44 workers stood their ground. 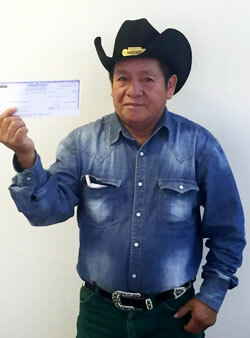 Finally, when EJC attorneys prepared a lawsuit to enforce the workers’ claims, the general contractor paid the full amount owed—over $63,000 for all 44 workers.